NOBATEK is a private Research and Technology Organisation (RTO) with a mission to promote and actively contribute to innovation in sustainable development in the construction sector. Its staff consists of 44 employees with a background in, mainly civil, material, and energy engineering and it has a turnover of more than 3 Million € for 2013. Based in two locations in France (Anglet and Bordeaux), NOBATEK engages in R&D activities and short term assistance for private and public customers. The projects vary from local projects focusing on local specificities to international projects aiming at developing breakthrough construction elements and services. For building owners and architects, it provides services in the design and assessment of sustainable buildings and neighbourhoods integrating energy efficiency and comfort simulation, design for recycling, materials and construction process specifications, water use optimization, green construction process organization, life cycle analysis, sustainable refurbishment and performance monitoring. Hand in hand with manufactures, NOBATEK carries out R&D projects on building products and services development and on the integration of sustainable principles in building design and construction processes. Furthermore, NOBATEK organises professional training on energy efficiency and sustainable buildings for professionals of the building sector. 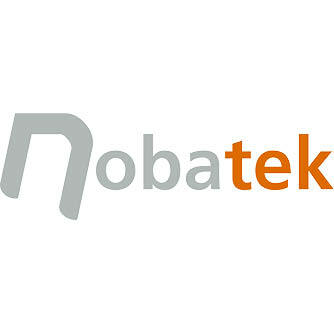 Based on its different activities, NOBATEK has a comprehensive knowledge of all steps of the construction process from the worksite to the exploitation of a building. More than 25 years of academic, research and practice experience. Teacher and researcher in Argentina, he worked at the CRH, a Paris based CNRS laboratory from 1991 until 1998. He has been consultant for the French Built Environment Office (on international commissions) and for the DPU – UCL in the UK on international urban planning research projects. Visiting fellow to the UWE Bristol Built Environment Unit in 1998, he then joined the executive board of the Barcelona School of Architecture (ETSAB-UPC) from 1998 to 2001, among other commissions. Today in NOBATEK he manages several national and international network projects in the field of sustainable building design. Engineering Degree in Material Sciences (Pau, FR) and PhD in Material Physics and Chemistry (UPPA, FR). He has worked as research engineer for the French Atomic Energy Commission in Saclay and for the Institute of Condensed Matter Chemistry of the University of Bordeaux. He has participated in several national and international projects on the development of materials for environmental performance and energy efficiency. In NOBATEK he leads projects on thermal performance of new materials and on air quality of the built environment. Graduated as engineer from the Ecole Centrale de Nantes (ECN, France) in 2005 and obtained his PhD in energetics from ECN in 2008. From 2005 to 2010 he specialised in the fields of thermo-radiative modelling and building energetics, developing several innovative methods and tools. After participating in national and European research projects, he joined NOBATEK in 2011. He is in charge of projects related to energy performance of buildings, thermal dynamical simulation and the development of decision-making tools to help in the choice of energy efficient solutions. Graduated as engineer from Institut Supérieur d’Agriculture de Lille (ISA) specialized in environment and territory planning in 2006, she obtained a second master in building energy efficiency in 2008. She is project manager on numerous construction or refurbishment projects following environmental certifications such as HQE (High Environmental Quality – France), BREEAM (BRE Environmental Assessment Method – UK) or LEED (Leadership in Energy and Environmental Design – US). Her projects have involved different building types like universities, schools, industrial production sites, warehouses, offices, business incubators… In addition to her knowledge in sustainable construction, she brings to the project her knowledge of concrete market needs. Graduated as a Master of Sciences in “Nano sciences and inorganic materials” from Pierre et Marie Curie University (Paris). Alexandre is working on its PhD thesis on indoor air quality since 2015. His thesis allows Alexandre to generate valuable general knowledge and updated information on indoor air quality and regulation which can be applied in several NOBATEK projects on this topic. 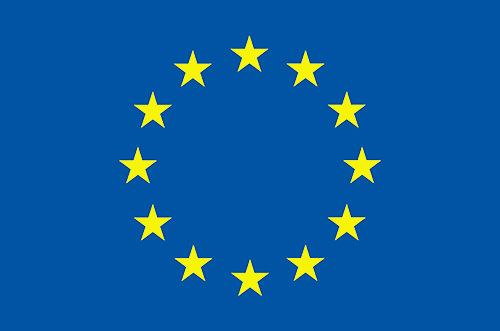 This project has received funding from the European Union’s Horizon 2020 research and innovation programme under grant agreement No 637221.